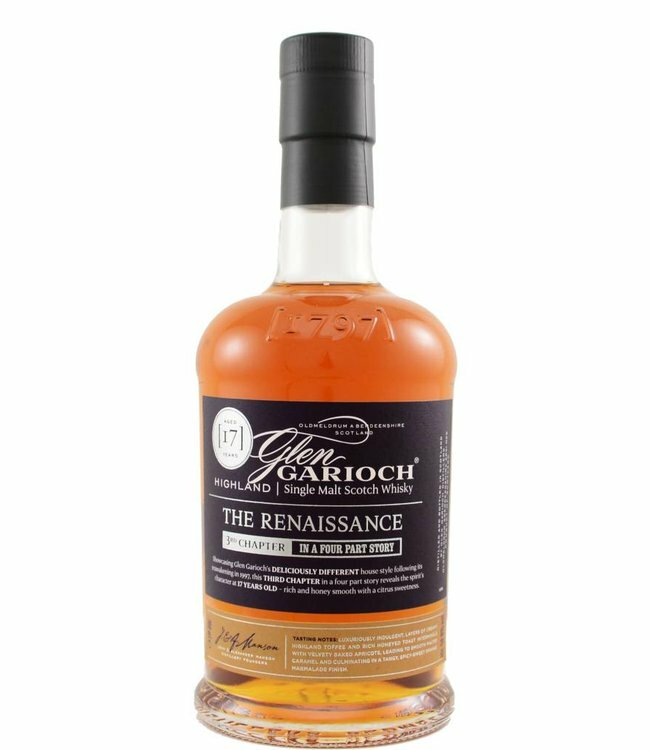 This '3rd chapter' from Glen Garioch's The Renaissance series is a fine balanced mix of single malt that matured for 17 years in bourbon and sherry casks. A step further towards an ‘old malt’. Bottled at cask strength (50,8%).